The technological advancement today has made email part and parcel of many people’s lives as they have almost replaced the traditional letters. We need email addresses to join social networking sites, to either keep in touch with family/friends or to simply go about with our professional work. Therefore, there is no doubt that whoever is subscribed to any of the social media platforms, has an email address. That’s how important email is to us in today’s world. 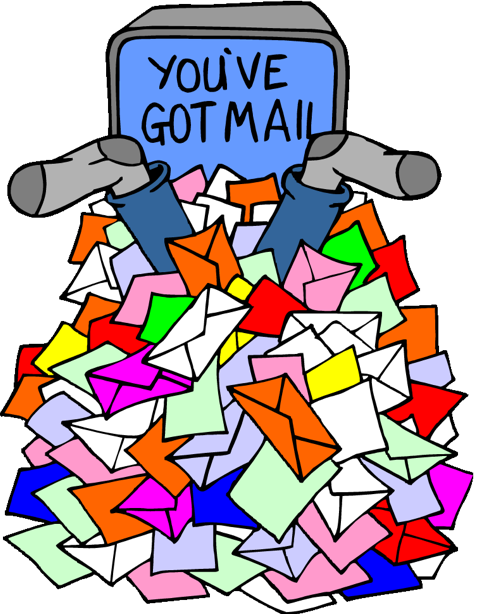 Often times, we complain and lament about receiving too many emails and having no time to read through them all. Some people have close to 5 email accounts that they have to check on daily basis for fear of missing out on important communication. Being one of the people with multiple email accounts and one who has suffered poor email etiquette but at the same time guilty of poor email etiquette, I thought to myself about the value of emails and decided to share some of the ‪email etiquette on twitter, now summarized in this blog post. The common mistakes that people make and what to avoid when using email. In no particular order or category, the following are my findings based on my knowledge as a user. 1. Read email in its entirety: When you receive an email, please read it in its entirety before thinking of replying. If you must, read it more than once. This is extremely important because some people do not put the key points in the initial paragraphs and you could miss important information by reading it partially. Reading the entire message informs your reply. 2. Acknowledge receipt of Email: When you receive an email that requires a detailed response and you are too busy to reply immediately, acknowledge receipt. It is so rude to receive an email, read it and completely ignore it. A simple message such as “I acknowledge receipt of your email and I will respond to it as soon as possible” is a sign of respect for the sender and appreciation for their time to send you an email. Please make sure you actually reply when you are ready to. 3. Out of office auto responses: When you leave an out of office auto response, please do not let it exceed your return dates or when you are able to respond to your email. It is very unfortunate to indicate a date only for a sender to receive an out of office auto response a week past your return date. Always deactivate it as soon as you are back to work. If you work with a team, It is polite to share the email of an alternative contact person in your absence. 5. Emotional Emails: When you receive emotional emails or emails that require tough decisions to make, do take sometime before you reply. Give them deep thoughts and reply from a logical point of view and less from an emotional one. This is so because emails can be saved and used many years later for reference. They could be used against you in the event that you over reacted in your response to such emails. 6. Replying to all: When emails that may require individual feedback are sent to all recipients;- say on a mailing list of dgroup, Try not to REPLY TO ALL especially in workplaces. Some people reply an email to all (even to over 1000 people) with a message like “Thanks for the email”. This not only distracts people from productive work but fills their inboxes too. If you do not have to, do not reply but if you must, you can do it to only the sender unless you are required to reply to all. 7. Official Email addresses: When you have an official email address, keep the conversations through it strictly official. You can never know who is stalking your email at work. Do not use your official email to discuss your private business or family issues. Because when your leave that workplace, it will be deactivated and remember that your employer may have access to it. 10. Simple language: When writing an email, keep your language simple. Today, people receive hundreds of emails on daily basis and using jargons in your emails only increases the burden that they have to deal with. You will not impress anyone by using ‘big language’. It will only get your messages deleted. Also avoid using shorthand like many youthful people do when sending SMSes. Not everyone is excited about shorthand especially for formal emails. For example writing “gr8” to mean great, “4get” for forget. 11. Email Usernames: When choosing a username, Try to use your actual name(s) or initials because this becomes your Identity. Funny addresses raise suspicion and messages from them could be treated as junk. Using your name makes it easy to identify your emails or give them priority. 12. Delivery Notifications: When you send an email that you consider important, activate your settings to notify you when the recipient opens it. This is very important to track who has received and read or attempted to read your email. It also gives you a clue about those who take long to respond to emails even if they read them as soon as they receive them. 13. Sending yourself a copy: When sending a job, consultancy, assignment or scholarship related email, it is important to send yourself a copy too. This is good because in the event that they require you to resend it, you can easily locate it, edit it and forward it. 14. Sharing Friend’s email: Just because you know a friend’s email address does not mean that you should share it with each and everyone especially without their permission. Also for event organisers, it is so rude for you to add one’s email to your organisation’s or company’s mailing list without their permission just because they attended your event and left their details behind including their email addresses. Please seek permission. Please add any other tips in the comments section! !